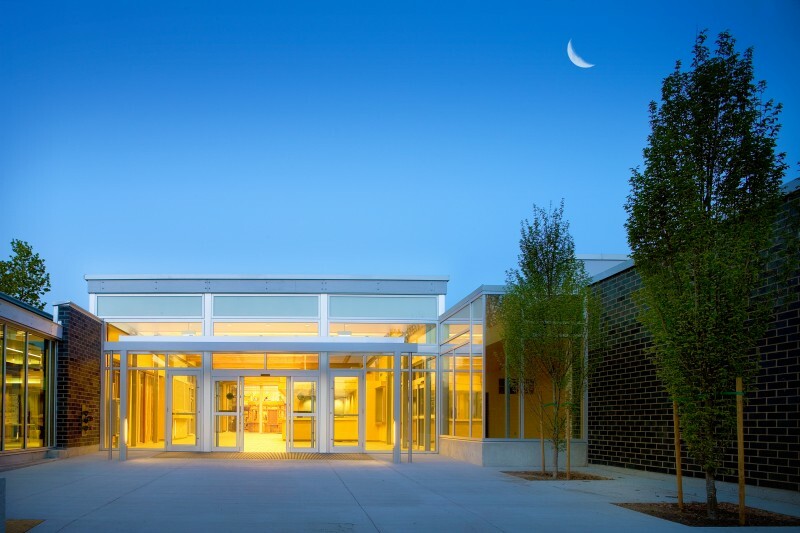 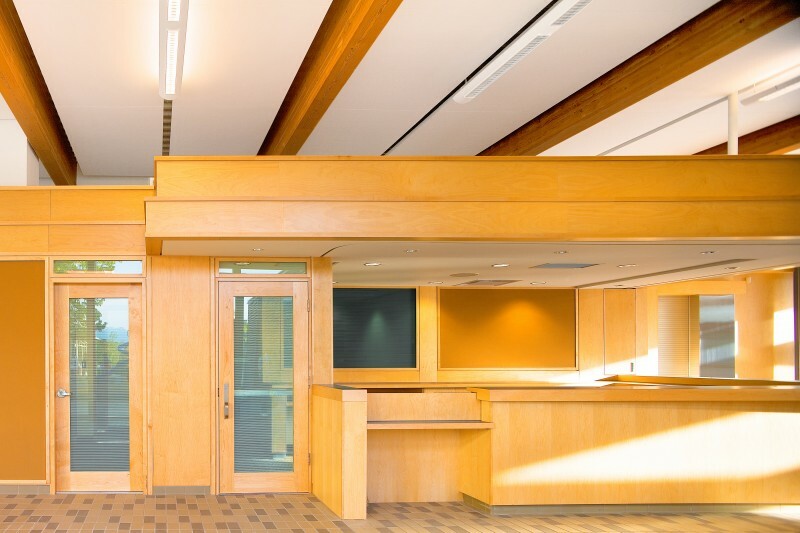 Completed in 2009, the 3,700 square metre Killarney Ice Rink & Lobby was the third and final phase of an overall replacement of the Killarney Community Centre that was originally built in 1963. 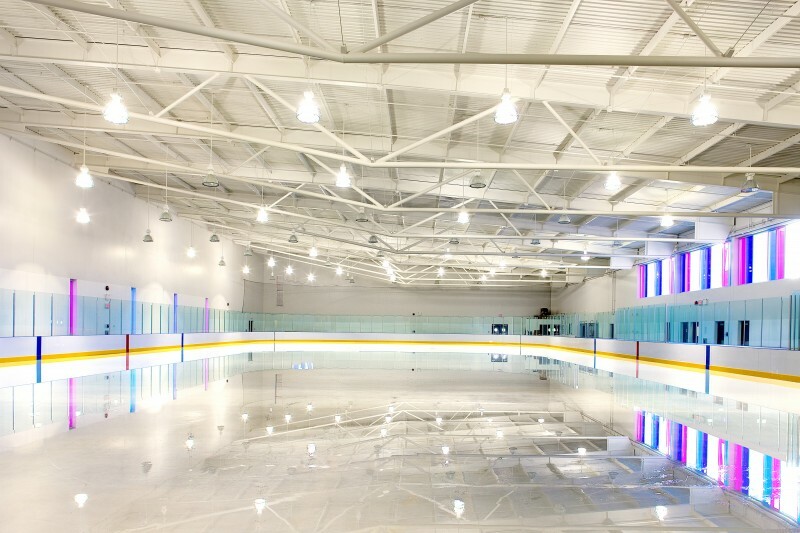 The roof slope of the new rink mirrors that of the existing pool, creating a focus to the main entry and lobby. 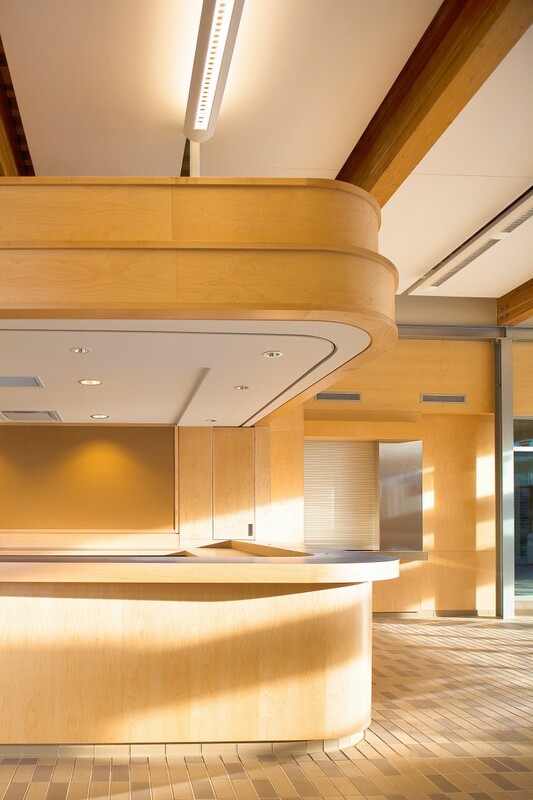 The form, massing and materials create a harmonious, unified expression for the entire complex. 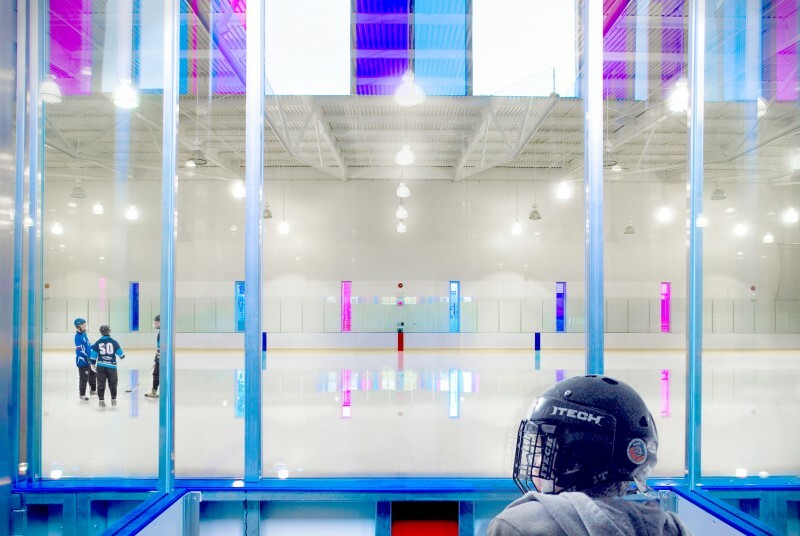 The rink is constructed of insulated concrete tilt-up panels accented with masonry veneer and standing seam metal cladding. 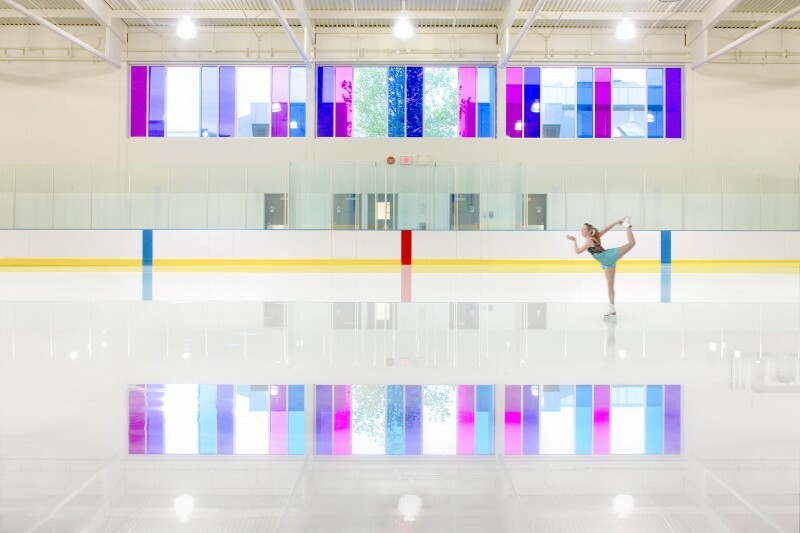 A vibrant coloured glass clerestorey vividly animates the cool, crisp white of the rink interior. 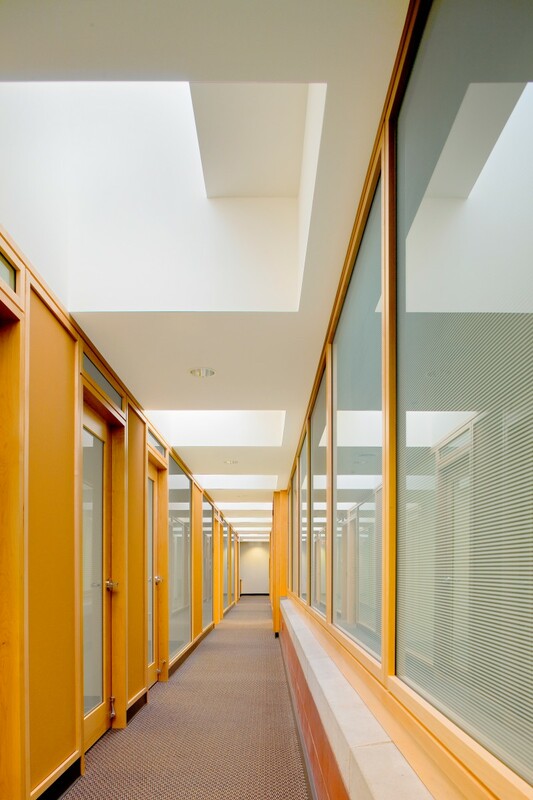 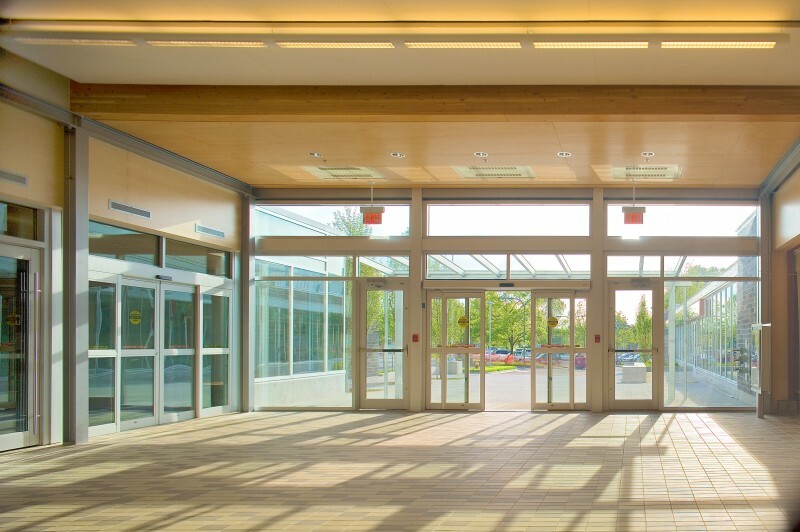 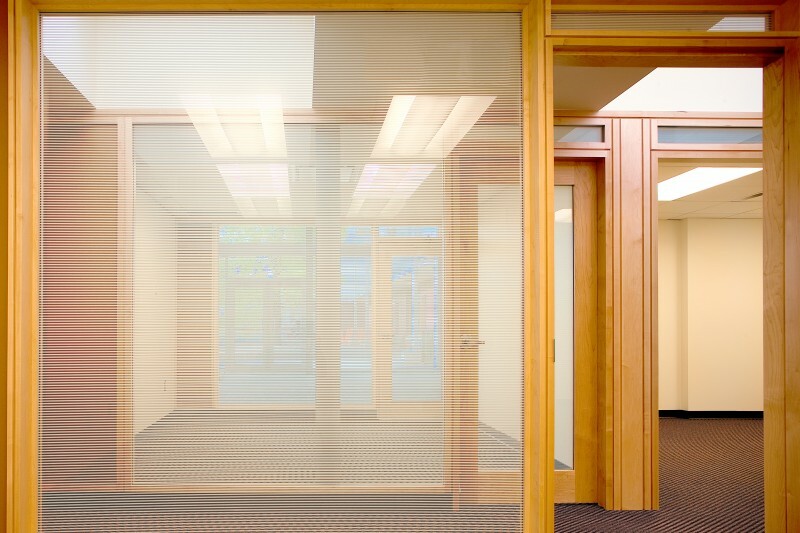 The lobby features steel, glulam beams and extensive glazing. 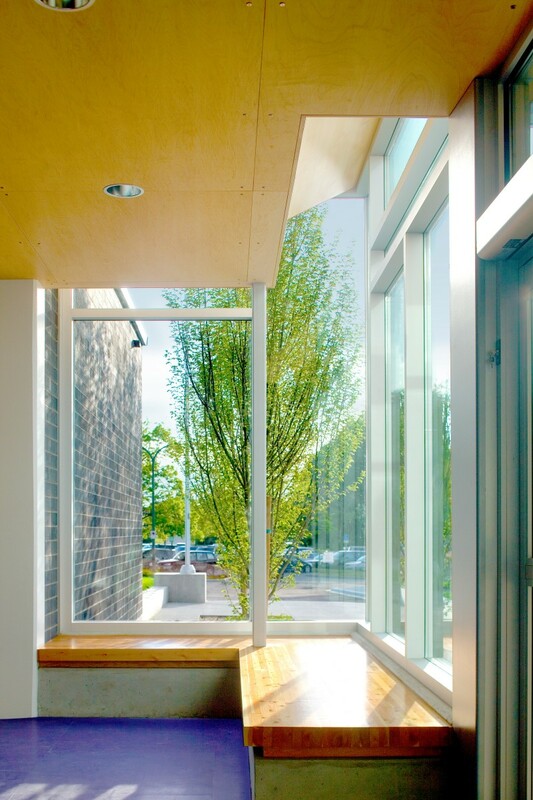 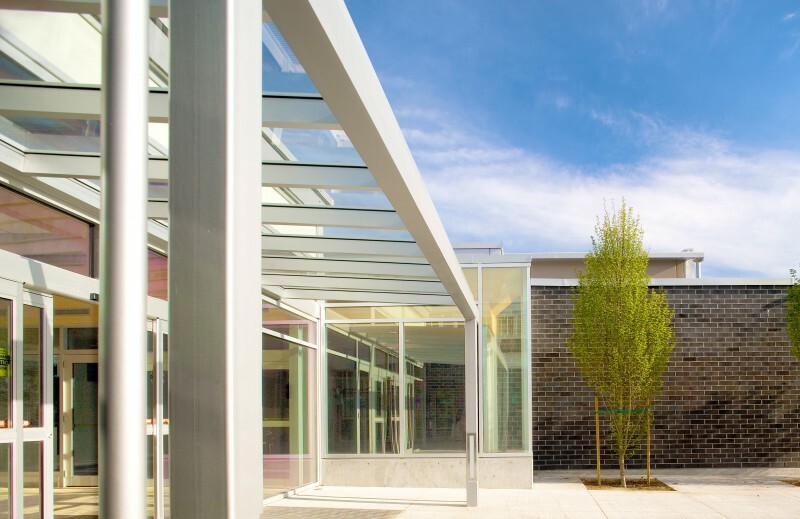 Designed to LEED Gold, excess heat generated from ice slab refrigeration heats the community centre and pool.